Our guide to New York will help you find the best wine spots in New York New York. What's trendy in New York this week may well be gone by the time you get here, be it an exhibit, bistro, shop, or celebrity. You'll never see it all -- we won't in a lifetime. But do leave time to enjoy our top attraction: people -- en masse, and of all kinds. Here the tapestry is fully unrolled. The city that never sleeps? Don't worry--you'll rest easy with New York hotel deals near Times Square, Central Park, Broadway, and beyond. Get ready for taxi-cab adventures and soaring skyscrapers, and start spreading the news. There are tons of great wine spots in the city of New York, our city guide will help you find the best wine spots. You may have a hard time deciding what to do in New York, but we make your decision easy. 1 7th Ave S, (212) 365-2992 - Ayza Wine and Chocolate Bar West Vilage is a wine bar located in New York NY. 1 Rockefeller Plz, (212) 262-7700 - Morrell - New York's Premier Wine and Spirits Store at Manhattan's Rockefeller Center. Wide selection of fine wines online and in the store. 111 1st Ave, (212) 777-0440 - Absinthe Wine Bar is a wine bar located in New York NY. 1202 Saint Nicholas Ave, (212) 781-4900 - In Vino Veritas opened its doors on March 12, 2004. Five years later were still here, fast becoming an upper Manhattan tradition. 123 Allen St, (212) 228-7746 - Sweet & Lowdown is a wine bar located in New York NY. 129 Macdougal St, (212) 529-5945 - Next Door at La Lanterna di Vittorio is a wine bar located in New York NY. 132 W Houston St, (718) 784-2350 - Manon Wine Bar is a wine bar located in New York NY. 151 Elizabeth St, (212) 219-0599 - Xicala Wine & Tapas Bar is a wine bar located in New York NY. 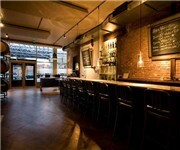 185 W 80th St, (646) 755-8538 - Westside Wine Bar is a wine bar located in New York NY. 185 W 80th St, (212) 724-2282 - Owners Neil Lizardi and Carlos Carela reflect their heritage with Latin-Caribbean–influenced tapas, complemented by an extensive wine list. 191 7th Ave, (212) 675-5935 - Bar Baresco is a casual an Italian Wine Bar with 40 Bottles by the Glass and over 300 Wine by the Bottles. 200 Mott St, (212) 966-0904 - Epistrophy Cafe is a wine bar located in New York NY. 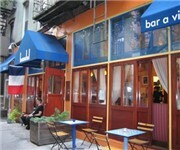 21 Bedford St, (212) 989-5769 - Ino Cafe & Wine Bar is a wine bar located in New York NY. 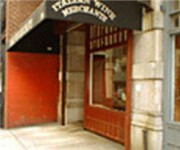 108 E 16th St, (212) 473-2323 - Italian Wine Merchants is a wine shop located in New York NY. 1158 1st Ave, (212) 838-5300 - Cork & Bottle Liquor Store is a wine shop located in New York NY. 13 E 1st St, (212) 614-0800 - Bowery Wine Co is a wine shop located in New York NY. 1355 2nd Ave, (212) 639-9463 - Millesima is a wine shop located in New York NY. 1361 Lexington Ave, (212) 289-6900 - Uptown Wine Shop is a wine shop located in New York NY. 1366 Madison Ave, (212) 289-1818 - K & D Liquors is a wine shop located in New York NY. 142 E 14th St, (212) 529-4612 - Trader Joe's Wine Shop is a wine shop located in New York NY. 143 E 27th St, (212) 725-6058 - Vino is a wine shop located in New York NY. 1585 1st Ave, (212) 517-2550 - Wine Shop is a wine shop located in New York NY. 161 Freedom Pl, (212) 875-9463 - Renaissance Fine Wines & Sprts is a wine shop located in New York NY. 168 7th Ave S, (212) 807-1010 - Pop the Cork Wine Merchants is a wine shop located in New York NY. 1743 1st Ave, (212) 996-9463 - Abigale's Fine Wines is a wine shop located in New York NY. 179 Columbus Ave, (212) 724-6767 - 67 Wine & Spirits is a wine shop located in New York NY. 2120 Broadway, (212) 877-0028 - Beacon Wines & Spirits is a wine shop located in New York NY. 224 12th Ave, (212) 594-9590 - Wine Care Storage is a wine shop located in New York NY. 25 Waterside Plz, (212) 689-4855 - Royal Wine Merchants is a wine shop located in New York NY. 250 Hudson St, (212) 675-4004 - Old World Wine Merchants is a wine shop located in New York NY. 269 Bowery, (212) 941-7943 - Elizabeth & Vine is a wine shop located in New York NY. 318 E 84th St, (212) 249-6730 - Neal Rosenthal Wine Merchant is a wine shop located in New York NY. 181 E 78th St, (212) 744-1800 - Demare is a restaurant located in New York NY. 34 White St, (212) 625-2800 - Cucina E Vino Petrarca is a restaurant located in New York NY. 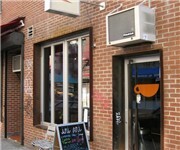 105 Stanton St, (212) 254-9066 - Ini Ani Espresso & Wine Bar is a coffeeshop / cafe located in New York NY. 20 Broadway, (718) 384-2800 - Taste locally-produced hand-crafted wines and enjoy a private romantic dinner at Bridge Vineyards in Brooklyn. There are plenty more wine spots in New York. See all wine spots in New York New York.